Air Bladder: the pneumatic bladder inside the KAATSU Air Bands and KAATSU Aqua Bands that inflate and deflate in specific amounts (Standard KAATSU Units) controlled by the KAATSU Master, KAATSU Nano or KAATSU Cycle equipment. All-out: to exercise or do KAATSU Training with maximum effort. Base Pressure: the compression of the noninflated KAATSU Air Bands and KAATSU Aqua Bands when the Air Bands are first manually affixed to the limbs. Also known as Base SKU and measured in SKU (Standard KAATSU Units). Base SKU: the compression of the noninflated KAATSU Air Bands and KAATSU Aqua Bands when the Air Bands are first manually affixed to the limbs. Also known as Base Pressure and measured in SKU (Standard KAATSU Units). BFR: an acronym for Blood Flow Restriction training, also known as occlusion training or tourniquet training. The blood flow restriction in the limbs is caused by the tightening of knee wraps, ropes, tubing, or blood pressure cuffs around the limbs. BFR is not KAATSU Training. Bicep Curl: any type of weight training or resistance exercises or KAATSU Training that target the biceps branchii muscle where the hands are raised towards the shoulders until the forearms are vertical with the elbows and upper arm remaining close to the body. Capillary Refill Time (or CRT): the time in seconds taken for color to return to an external capillary bed (e.g., in the palm of the hands or above the knee on the quadriceps) after pressure is applied by a thumb to cause blanching. Also referred to as CRT in the KAATSU Master, KAATSU Nano or KAATSU Cycle equipment. Central Nervous System: the complex of nerve tissues in the brain and spinal cord that controls the activities of the body. CNS: an acronym for Central Nervous System. CRT: an acronym for Capillary Refill Time or the time in seconds taken for color to return to an external capillary bed (e.g., in the palm of the hands or above the knee on the quadriceps) after pressure is applied by a thumb to cause blanching. CYCLE 20: an 8-step process of releasing and applying pressure on either the upper arms or upper legs. One cycle includes the application of pressure for 20 seconds and the subsequent release of pressure for 5 seconds. There are 8 cycles in the CYCLE 20 process that takes 3 minutes 20 seconds in duration with a Base SKU of 15 and an Optimal SKU of 100. This function is in the KAATSU Master, KAATSU Nano and KAATSU Cycle equipment. CYCLE 40: an 8-step process of releasing and applying pressure on either the upper arms or upper legs. One cycle includes the application of pressure for 40 seconds and the subsequent release of pressure for 10 seconds. There are 8 cycles in the CYCLE 40 process that takes 6 minutes 40 seconds in duration with a Base SKU of 20 and an Optimal SKU of 150. This function is in the KAATSU Cycle equipment. CYCLE 60: an 8-step process of releasing and applying pressure on either the upper arms or upper legs. One cycle includes the application of pressure for 60 seconds and the subsequent release of pressure for 20 seconds. There are 8 cycles in the CYCLE 60 process that takes 10 minutes 40 seconds in duration with a Base SKU of 25 and an Optimal SKU of 200. This function is in the KAATSU Cycle equipment. Disturbance of homeostasis: the state when the body’s natural internal environmental variables become disturbed and feedback is initiated to the central nervous system due to the engorgement of blood caused by KAATSU Training. Go to failure: to continue exercising or moving until maximum effort has been reached and no more movement can be done or repetitions can be repeated. Hand Clenches: an exercise where the hand is opened and closed to work the muscles of the hands and forearms. It is part of the 3-point Exercises for the Arms. Heel Raises: an exercise where the heels are raised from the floor while either sitting down or standing up. It is part of the 3-point Exercises for the Legs. KAATSU: a Japanese trademark meaning “additional pressure”, the original form of blood flow moderation training, rehabilitation and recovery invented and developed by Professor Sir Yoshiaki Sato, M.D., Ph.D., FNAI. KAATSU Air Bands: specialized pneumatic bands that are affixed to the arms or legs with Velcro. The air bladder inside the Air Bands are inflated and deflated by the firmware of the KAATSU Master, KAATSU Nano and KAATSU Cycle equipment. KAATSU Arm Bands: specialized pneumatic bands that are used around the upper arms for KAATSU Training. 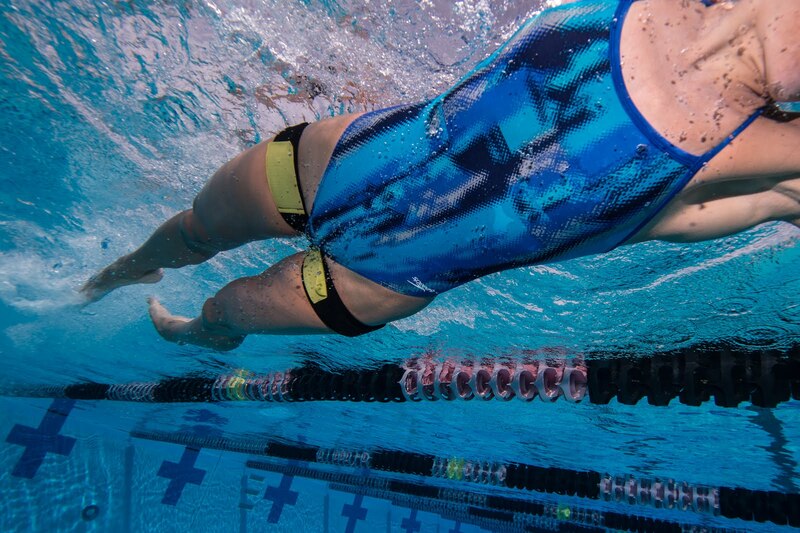 KAATSU Aqua Bands: specialized pneumatic bands that are used around the upper arms and upper legs for KAATSU Aqua, a form of KAATSU Training that can be performed in swimming or therapy pools. KAATSU Aqua Training: blood flow moderation training or rehabilitation performed in the water in the form of swimming, aqua-therapy or other forms of aquatic exercises performed with KAATSU Aqua Bands. KAATSU Color: the resultant pinkness, rosiness or beefy redness in the skin in the limbs due to the engorgement of blood during KAATSU Training. KAATSU Cycle: (1) brand name of KAATSU equipment, or (2) a means to warm-up the body for KAATSU Training with the KAATSU Master, KAATSU Nano or KAATSU Cycle equipment. It a type of KAATSU Training, therapy and recovery that involves either a 4 or 8 step process of releasing and applying pressure on the limbs at increasing levels of compression. KAATSU Dose: the appropriate Base SKU and Optimal SKU that is specific for a given individual based on their age, physical condition, and amount of KAATSU Training experience. KAATSU Instructor: an individual certified by KAATSU Japan Co., Ltd. to have studied and passed the KAATSU Specialist certification examination. KAATSU Leg Bands: pneumatic bands that are used around the upper legs for KAATSU Training. KAATSU Master: a portable 1134g (2.5 lbs.) 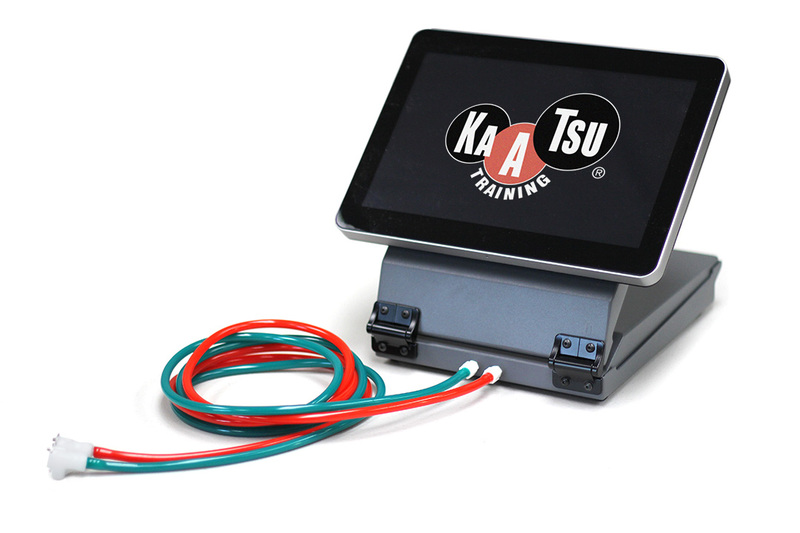 touch-screen device that provides specific amounts of compressed air to the KAATSU Air Bands while recording and monitoring various data including Base SKU, Optimal SKU, time of KAATSU training, and capillary refill time. KAATSU Master Instructor: an individual certified by KAATSU Japan Co., Ltd. to have studied and passed the KAATSU Specialist certification examination and completed the highest level of KAATSU Training in Japan. KAATSU Nano: a portable handheld 263g (9.7 oz.) touch-screen device that provides specific amounts of compressed air to the KAATSU Air Bands while recording and monitoring various data including Base SKU, Optimal SKU, time of KAATSU Training, and capillary refill time. KAATSU Pressure: the compression of the KAATSU Air Bands or KAATSU Aqua Bands around the limbs as measured in SKUs or Standard KAATSU Units. KAATSU Protocols: the standard KAATSU procedures and know-how that enable safe and effective KAATSU Training and rehabilitation for individuals of all ages and conditions. Invented by Professor Sir Yoshiaki Sato, M.D., Ph.D., FNAI in 1966 and since patented. KAATSU Specialist: an individual certified by KAATSU Global, Inc. to have studied and passed the KAATSU Specialist certification examination. KAATSU Training: the original form of blood flow moderation training, rehabilitation and recovery invented and developed by Professor Sir Yoshiaki Sato, M.D., Ph.D., FNAI. Leg Curls: an exercise to primarily work the hamstring by raising the foot backwards to the gluteus maximus. It is part of the alternative 3-point Exercises for the Legs. Muscular Failure: the point in KAATSU Training or rehabilitation where no continued movement or additional exercise can be performed. Non-lock Exercises: exercises where there is only partial extension of the limbs so the muscles are always engaged during KAATSU Training. Occlusion training: blood flow restriction training to the limbs caused by the tightening of knee wraps, ropes, tubing or blood pressure cuffs around the limbs. Also known as BFR training or tourniquet training. Occlusion training is not KAATSU Training. Optimal Pressure: the compression of the inflated KAATSU Air Bands after the Air Bands have been inflated according to the KAATSU protocols. Also known as Optimal SKU and measured in SKU (Standard KAATSU Units). Optimal SKU: the compression of the inflated KAATSU Air Bands after the Air Bands have been inflated according to the KAATSU protocols. Also known as Optimal Pressure and measured in SKU (Standard KAATSU Units). Petechiae: bleeding under the skin that can occur from broken blood vessels. It appears as tiny pinpoint red dots on the skin of the upper arm in some people as a result of KAATSU Training. Pulsation: the rhythmical throbbing of an artery that is felt under the KAATSU Arm Bands or KAATSU Leg Bands. Rep: a motion or exercise (such as a bicep curl or push-up) that is repeated and counted during KAATSU Training. Also referred to as a repetition. Repetition: a motion or exercise (such as a bicep curl or push-up) that is repeated and counted during KAATSU Training. Also referred to as a rep.
SKU: Standard KAATSU Unit, approximately equivalent to mmHg as measured by the original KAATSU Air Sensor for the KAATSU Air Bands. Squat: an exercise that trains primarily the muscles of the thighs, hips, gluteus maximus, quadriceps, and hamstrings by bending the knees and hips to lower the torso and returning to the standing position. It is part of the alternative 3-point Exercise for the Legs. Technical failure: the point in KAATSU Training or rehabilitation where muscular movement can be performed but the proper technique is poor or lost or where the original form and/or speed is compromised. Tourniquet training: blood flow restriction training to the limbs caused by the tightening of knee wraps, ropes, tubing or blood pressure cuffs around the limbs. Also known as BFR training or occlusion training. Occlusion training is not KAATSU Training. 3-point Exercises: a set of 3 different exercises that help indicate the Optimal SKU and can form the basis of KAATSU Training or serve as a warm-up. 3-point Exercises for Arms: a set of 3 different exercises for the arms that include 3 – 4 sets of hand clenches, 3 – 4 sets of bicep curls, and 3 – 4 sets of triceps extensions. The hand clenches can be done with hand grips if desired. 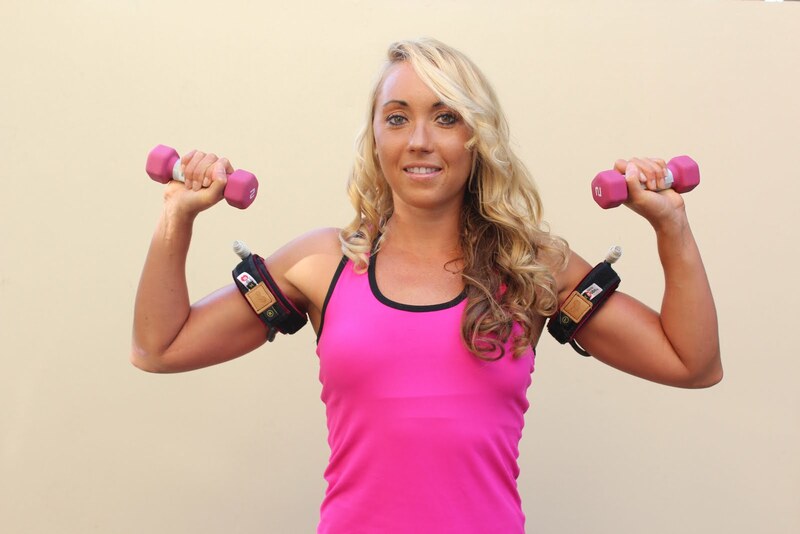 The bicep curls can be done with light weights if desired. The triceps extensions can be done with light resistance if desire. 3-point Exercises for Legs: a set of 3 different exercises for the legs that include 3 – 4 sets of either toe curls (performed without shoes), toe raises and heel raises. These exercises can also alternatively include leg curls or squats. Toe Curls: an exercise that works the toes and feet when the toes are curled under the foot. It is part of the 3-point Exercises for the Legs. Triceps Extension: a strength-building exercise that stimulate the triceps in the upper arms. It is part of the 3-point Exercises for the Arms.